Esquire Kitchen is not a stranger for many who have been residing in KL over the years. Coming a long way from a single restaurant offering home-style Szechuan and Shanghainese delights in 1970s, Esquire Kitchen is now a prominent icon with 14 outlets throughout Klang Valley, specially caters for those who crave for the classic taste of home. I remembered blogging about Esquire Kitchen during Chinese New Year last year. Feel free to read the post HERE. 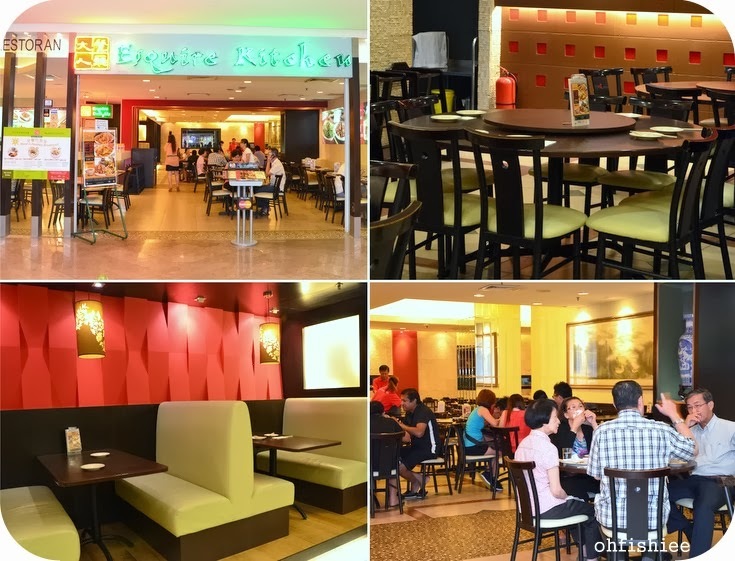 Exterior and interior of Esquire Kitchen at Mid Valley Megamall. Beyond the classic presentation of the delicate braised pork belly served with vegetables in a claypot, the brown savory pool of gravy was infused into the layers of pork fat and lean meat after being braised for long hours. Amazingly juicy, hog lovers would definitely go for a second helping! Drizzled with brown, spicy sauce enhanced with fiery hot dried chillies, the chicken cubes maintained its succulent, healthy flavour. This dish may be commonly available, but Esquire Kitchen is one of the very few who maintained its authenticity using a Szechuan recipe passed down from yesteryears. Served on a bed of rice, it was simply addictive and filling. A perfect combination of pork strip, sliced bamboo shoots, black fungus and various spices, I doubt you could have such traditional dish elsewhere! Sweet, sour and savoury, it was a palate teaser that kept me reaching for more. After the meaty portion, we went for something light yet comforting. The silky smooth and soft beancurd soaked the spicy sour sauce that each bite was a wash of tangy symphony on the tongue. 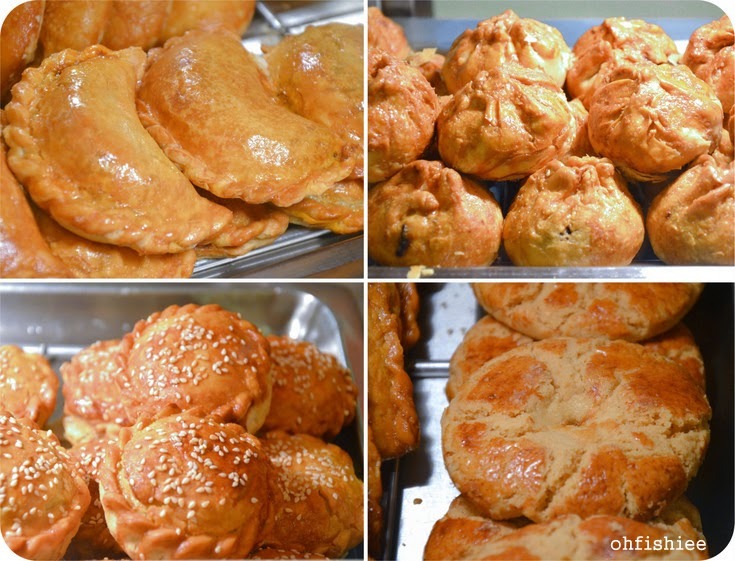 Other noteworthy dishes which we didn't get to try include the Pan-Fried Dumplings (锅贴), Shanghai Dumplings (上海水饺) and Wu Xi Spare Ribs (无锡排骨). Shall keep them on the list for the next gluttony visit! 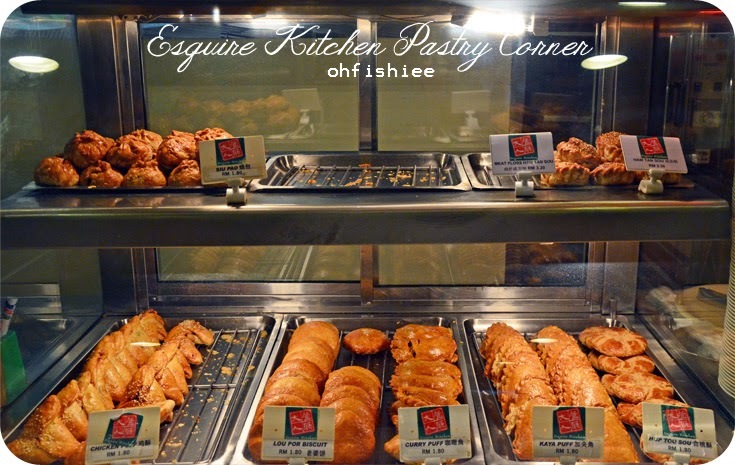 Besides specializing in traditional Chinese culinary, Esquire Kitchen takes pride in the quality of its pastry. I reckon they were selling like hot cakes too, as most items were out of stock during my evening visit there. Best relished with the signature freshly made soya bean and Tau Fu Fah. Among the trays of freshly baked, flaky golden brown puffs, the meat floss with salted egg puff is a new addition in the house. 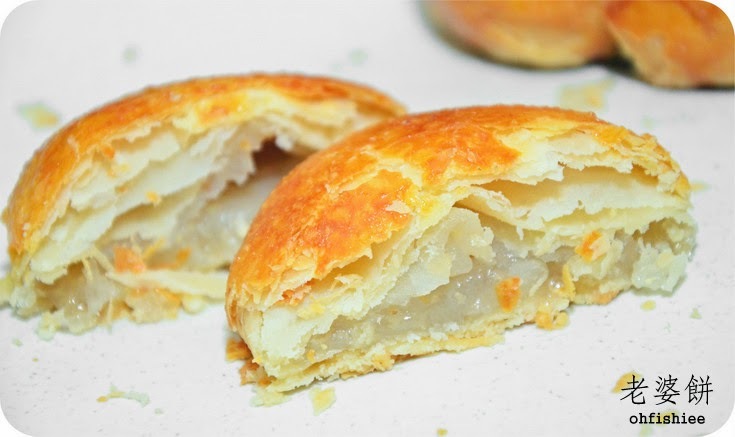 If you love flaky meaty puff filled with rich, moist and fragrant salted egg, then you can’t go wrong here. For dessert, we had a santa cake, originated from West Lake, Hangzhou, China. Frankly, I hadn't heard of it before and hence was eager to try! Luck was on our side during our visit, as this was the last piece in the store. 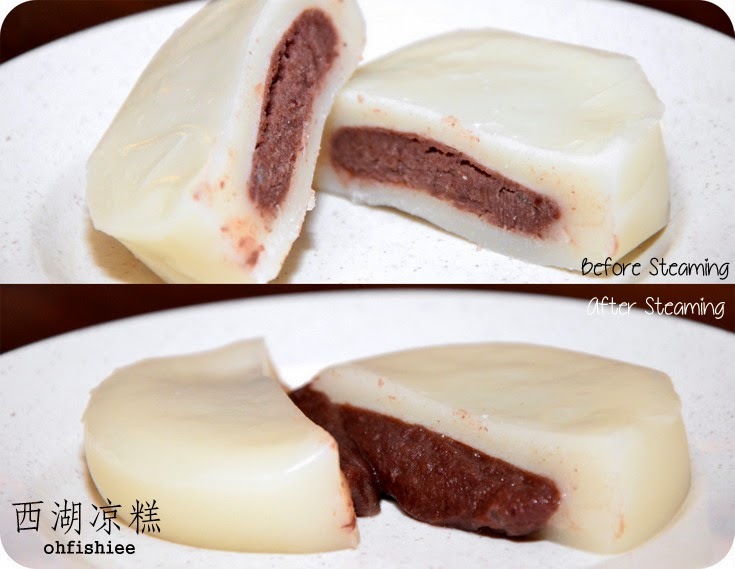 It tasted like a chewy glutinous rice cake filled with creamy red bean paste, and interestingly it can be served cold and hot. 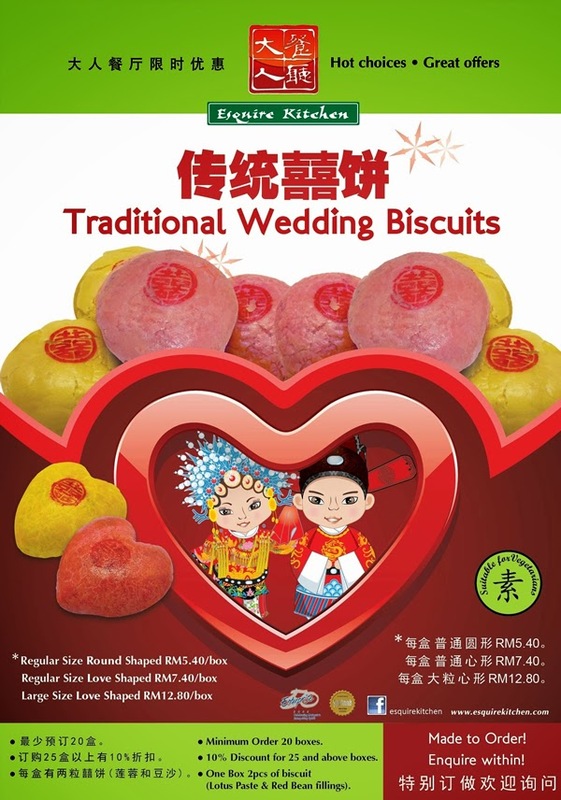 #12 Esquire Kitchen serves wedding biscuits too (which my mum calls it 嫁女饼). 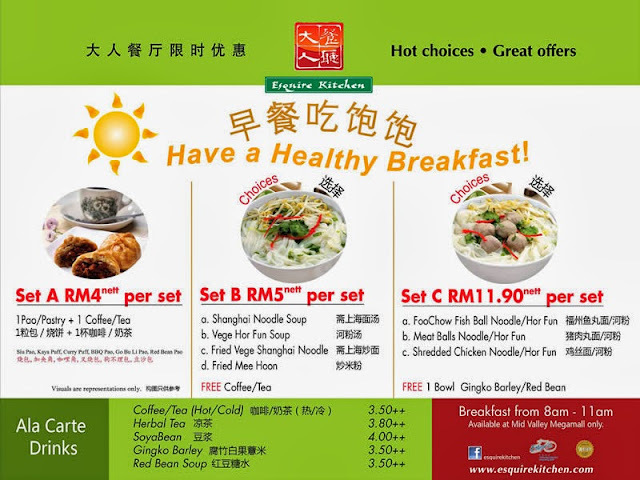 Mid Valley branch is having an exclusive deal for those who usually wake up hungry like a bear out of hibernation. You can enjoy a sumptuous breakfast from as low as RM4 NETT per set. 1. Having a comfortably modern look, the restaurant keeps me satisfied and impressed with its original Szechuan and Shanghainese cuisines. A great venue for family dining and tea break! 2. Great value for money, based on the quality and taste you'll get. You can enjoy a comforting feast for around RM15- RM25 per person. 3. Recommended: All of them! In fact, the dishes we had were the signature dishes and bestsellers of the restaurant. great pictures Fish! so hard to find value for money restaurants in shopping malls these days but Esquire Kitchen looks like a great choice!